Most people are born with a thirst for travel. For many, experiencing what the world has to offer from the comfort of a hotel room is the way to go. However, there are some of us that prefer to do things the hard way. We’re talking about backpacking. It isn’t without its issues – safety and affordability are some pretty big concerns – but life is all about taking risks. 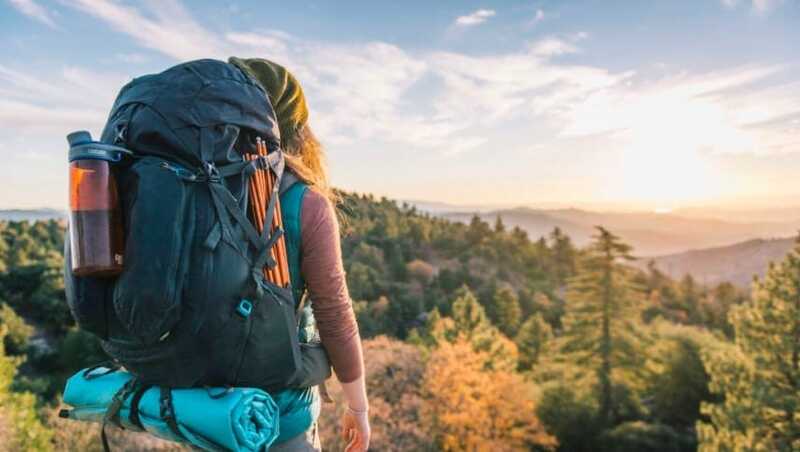 If you’re in your 20s and looking to satisfy that feeling of wanderlust, here’s why you should give backpacking a go. The initial journey to your starting point may be costly, especially if you’re traveling to another continent, but from there everything gets cheaper. Backpacking requires you to think with your wallet, whether that’s regarding how you’re going to get around or where you’re going to stay. You’ll need the willpower to say no to luxury, though it’ll get easier over time. Plus, you get a more genuine experience if you stay in a hostel with other backpackers and do a lot of traveling by foot. Whether you go backpacking by yourself or with others is totally up to you. Both options have their share of pros and cons, and neither will give you a bad experience. If you choose to go alone, then you might find it easier to connect with the people you meet on your travels. It doesn’t matter if you’re naturally charismatic, the longer you’re in a foreign country, the more relaxed you’ll be when talking to people. Even if you only pick up one new friend while you’re there, you’ve still connected with someone from another culture that you wouldn’t have met otherwise. We all have a bucket list, whether we’ve written it down or not. Backpacking is usually a recurring item on those lists, so why not do it sooner rather than later. You’re probably not going to want to do it when you’re in your seventies and finally retired. Traveling the world will give you a life experience to always look back on, and free up some space so you can add something new to your list in the future. Something that’s a bit more manageable for your seventies. Traveling on a budget means that you won’t usually get to pick the quick and comfortable option. A journey that might have taken one hour may take several more if you haven’t got the funds to upgrade. That’s nothing to be upset about, though, because it means you’re probably going to see a lot more of the country than those traveling in style. Isn’t the whole point of backpacking to experience as much of the world as possible? You’re never going to be in your twenties again, so what are you waiting for? You’re at that stage in your life where you’re old enough to do anything you want, but you’ve still got time before you need to consider settling down and having a career. If traveling is something that you want to do then fill up that backpack and get out on the road. You aren’t getting any younger. Backpacking isn’t for everyone, but there’s nothing quite like it. If you have even the slightest desire to go out and see the world, do it. Don’t let your fears get in the way of you doing something amazing – you only live once.